If you are looking for high quality window cleaners in Harrow area, then you have come to the right place! 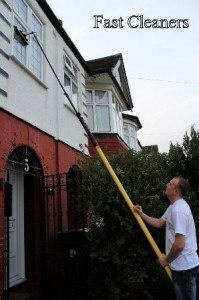 Our cleaning company Harrow has over 10 years of experience in cleaning windows of all sizes and shapes. Whatever be your business, organization or sector, we provide excellent cleaning services to match your needs. Our experienced window cleaners will discuss your requirements and deliver the very best service. We ensure that quality window cleaning services are offered at most competitive cleaning prices to our customers. Fast Cleaners Harrow provides comprehensive training to all cleaners and staff so that we can deliver scalable results. Call us at 020 3322 7077 to book our window cleaning service Harrow!